What is Doba Drop Shipping? Doba offers drop shipping service to anyone who wants to start an online business in drop shipping. Considering that Doba has been given extensive publicity, is their service too good to be true? In case you have a drop shipping business in mind, you may want to learn What is Doba Drop Shipping? This post looks at the advantages and disadvantages of joining this platform. To put things in perspective, Doba is like a mediator linking marketers with drop shipping suppliers. So What is Doba Drop Shipping? To emphasize, as a marketer you have access to their catalog of products and drop shipping suppliers. Generally in a drop shipping business, you sell products, but you do not stock them. For this reason, you do not even see the products that you are selling, moreover to ship them. The reality is that problems are eminent with this kind of business. Therefore, you want to choose a company that offers reliable suppliers. Not to mention very knowledgeable about the market. What is Doba Drop Shipping? First of all, Doba Drop Shipping is an established platform that offers access to many products. Matter of fact, their claim is that they offer more than 2 million drop shipping products in their catalog. What is Doba Drop Shipping? To emphasize, it is another distributor directory offering millions of products for you to start a Drop Shipping business. Here are the basic steps to use Doba. First of all, you need to have an idea of your niche. Following that, you search Doba’s catalog for products in that particular niche. Likewise, search for suppliers of these products. To point out, you can do your search in 3 different ways. Search Using Product Feed: Firstly, you can search with the product feed which shows the featured products. Pursuing this further, you can then search a category for products in your niche. Search Suppliers: Secondly, you can search for suppliers in alphabetical order. Just click on each one to learn about them. Thirdly, you can browse through the catalog directly. On the other hand, you can do a custom search with the filter features and the drop down menu. Once you are satisfied with your search, you can make an inventory of the products in your niche. For more clarity, you can watch their video tutorial. Once you are satisfied with how you have organized your lists, their are different formats that you can choose to export the information. Export your list to your website or other marketplaces that you have approval to sell on. Matter of fact, Doba has more than 100 ecommerce marketplaces that you can export your list to. Upload is quite simple and usually takes a-couple-of minutes. Again, their instruction video will guide you through the process. Another key point to note is that you can track your orders. Details include the order dates, suppliers who fulfill the orders, customers location and of course prices of the products. First of all, customers will buy products from you at the retail price. After they make their payments, you logon to Doba’s platform and purchase the same products from suppliers at the wholesale price. At the time of placing orders on Doba, you enter the shipping address of each customer. Once you pay the wholesale prices for the products, you are basically done. The suppliers take care of the rest and will pack and ship the products straight-off to your customers. Keep in mind that this can have a negative impact on you if the suppliers do not fulfill the orders. As long as you are a member, you can continue to learn on the platform. Several lessons on drop shipping are available to help put you on the right track for a successful drop shipping business. For example: you can learn about price competition and how to choose a good niche. Easy to Use Platform: Assuredly, you can find your way around the platform quite easily. Ideally, the attractive design makes it engaging. You can make your way around with user-friendly filters. Whether you want to search for suppliers or products, Doba certainly makes it easy. Allows Access to Resources: Even if you do not have membership with Doba, you can still access some resources such as their blog and business guides. Various Features: Doba offers a variety of features to make things easy and fast. For instance, their are tons of products and suppliers listed in just one catalog. Furthermore, the platform provides many choices of shopping carts. Matter of fact, your choice is so wide with more than 100 of them to choose from. Search With Filters: Considering that their are so many products in Doba’s catalog, you can easily search for the ones you intend to sell with advanced filters. Your search can be on price, free shipping or even product quantities. Organize Your Lists: This feature allows you to easily put your lists together and export in bulk to your website or a specific marketplace. By the same token, it is also easy for you to keep track of your orders right on their platform. Trending Products Report: You can get updates on the hottest products that are trending with Doba. Every month, a report gives an update on the best-selling products in each category. A list of 270 products are in the report with 30 from each category. By the way, if you have advanced or pro membership, you can access the reports of previous months. Create Alerts for Inventory: To be sure, you can specify a precaution alert for products. Point is, you want to know when their is a depletion of inventory. Doba will notify you when quantities are low or out of stock. Of course you want to avoid embarrassing moments with your customers. Avoid Spreadsheets: With attention to exporting your data, their is no need to create spreadsheets. Various formats are in place for you to export your lists directly to your website or marketplaces like Amazon, eBay, Shopify. To clarify, this does not apply to all the membership plans, so check carefully to see what you are getting. Discount Deals From Suppliers: If you have a membership plan, you get email updates on the latest discounts that suppliers are offering. Coupled with product trends and those that are seasonal, you also get information about new suppliers in the catalog. Help With Your Listing: Pressed for time? In case you need help with your listing, Doba expertise is available. Certainly, those with the skills can create a superb list of products in your niche. Rest assured that your list will be filled with highly profitable products. An expert can list 50 products for you at a cost of $19. Given that their are so many suppliers, you definitely want to know about their performance. 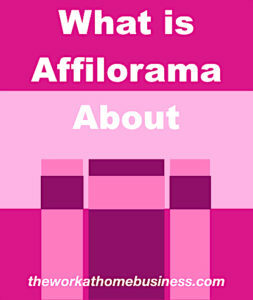 With this in mind, you can check a thorough review of any supplier you wish to know about. For instance, their product quantity, their shipping methods, how they process and fulfill orders, their return policy and even updates on products. Delay in Shipping Order: Like any other drop shipping company, customers may not get their order as quickly as they would like it. Suppliers can have a delay or even ship the wrong product. Product Limitation: Doba’s free trial puts a limit on the number of products you have access to. To clarify, you can list up to 150 products to sell. Data Limitation: To export data, you can only do so 10 times with the free trial. Pricey Monthly Fees: When compared to other Drop Shipping companies, Doba is a bit more on the expensive side. Even though you can start for free, it has its limits. For instance, you can’t join without giving your credit card information. As a precaution here, this may have a negative effect. There are reports of people having a hard time to cancel. As a result, their credit card is still charged. Generally, basic monthly fee starts at $29 and goes all the way up to $249 as a pro member. Certainly, that’s a whopper for newbies. Then again, the basic fee does not even give you enough leeway to build a successful business. Learn about their pricing here. High Product Prices: Notably, some products have high prices on the Doba platform. In comparison to other marketplaces like eBay and Amazon, this makes it problematic to sell those products and make a profit. What is Doba Drop Shipping? Here are some products to compare prices. On Doba, the wholesale price for this product is $109.00 and suggested retail price is $122. On Amazon, this item sells for $102.56. As you can see, Amazon has a lower price. On Doba, the wholesale price for this product sells for $13.69. Their suggested retail price is $20. On Amazon, the same item sells for $15.50. That leaves you with no profit at all because you have to pay Amazon fees. Clearly, this is a loss. On Doba, the wholesale price for this item is: $75.00. Suggested retail price is: $104. On Amazon, the price is $72.95. Obviously, Amazon has this item even cheaper than Doba. Point is that you just have to check prices and profit margin. 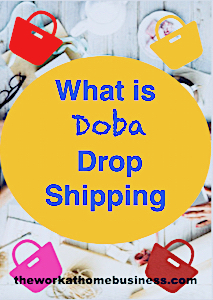 What is Doba Drop Shipping? As you can see, the platform does have several positives. Despite the negatives, you can still find profitable products to sell. Keep in mind though that some research and price comparison make the difference with your profit margin. By all means, you can use Doba to link up with suppliers. In case you have your own website, you may just want to contact them without going through a middleman. Keep in mind that you need to build a good relationship first. To clarify here, the day may come when you want to order products directly from them. Keep in mind that with a drop shipping business, you do not see the products. Moreover to handle them. With this business model problems are eminent. Therefore, embarking on your own with a website designed to sell products directly is a great alternative. In the event that you want to try another drop shipping platform, you could check out SaleHoo here. Hello! Thanks for this thorough review, I really appreciate that you added a comparison with Amazon to emphasize competition issues. My Shopify store is in the business of printing artwork onto shirts and mugs, so I’m mostly experienced with print on demand. But I’ve been considering adding a regular dropshipping line. I wondered if you have a comparison between Doba, SaleHoo, and Shopify’s Oberlo for best dropshipping directories. I definitely want to make sure I choose the best. Starting a regular drop shipping business can certainly rev up your monetary gains, so I would recommend that you give it a try. I have not done a comparison with those three as yet, but will definitely do so in the near future. Hope you will keep checking back for updates. Drop shipping is a pretty neat way to make money from the comfort of your home. I have heard about dropping shipping a few years ago, in fact, I have heard of people who are doing well for themselves in this line of work. For anyone who wants to make money online this is an option they can try because this type of business can be very profitable. Thanks for your input. Drop shipping is definitely a cost effective way to start a great online business.